Well, most of the time I give advice in some form or another, be it trough my tutorials or my comments, but today I would like to hear some advice from you. As you can see in the picture beside, my companion for the last 2 years, my MacBook, has suffered severe damage from the heavy use in this time. I dally with the idea of buying a new notebook for some time now, cause the look of the macbook is far from stylish ever since the white chassis turned into dirty dark yellow. Ok, I am not that kind of a brag that I would throw away my laptop only because of its looks, but the hard drive I bought 2 years ago is far to small, the RAM is too little, and the screen is to tiny for long lasting Photoshop works. The chassis cracked now for the second time (the first time apple customer service fixed it but I didn’t extend for the 3-year Apple Care plan) and I think its time to get something better. I like to work with Apples OSX but I don’t really care which operating system I use, due to the fact that I was working on Windows XP for several years before. After browsing tons of sites with windows laptops I startet to like the Idea of bying a MacBook again, this time the Pro version of course. Appart from the neat look, they seem to fit my needs in a much better way than other companys notebooks. 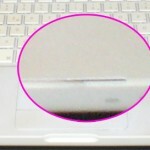 Do MacBook Pros discolour and fall apart as well as the normal versions after 2 years? Would you recommend buying one or something totally different? I am working on a MacBook pro for several years now, and it doesn’t lose its color or break apart, I can really recommend it to you. I agree, since you seem to be a lot into web design, a Mac Book Pro would really fit your needs. Ive heard rumors about new mac products as well so you might want to wait until september and see if apple really releases a new notebook. Ich kann Dir noch die Marke “Lenovo” empfehlen. Die Notebooks sind extrem robust. Wenn Du in verschiedenen Mac Foren googlest, findest Du neuerdings massive Beschwerden von Apple Fans. Vermutlich musst Du das fÃ¼r Dich selber entscheiden. In deinem Business wird das MacBook Pro eher in Frage kommen. Ich bin gespannt, was Du dir kaufen wirst. So what did you end up buying, and how do you like it?